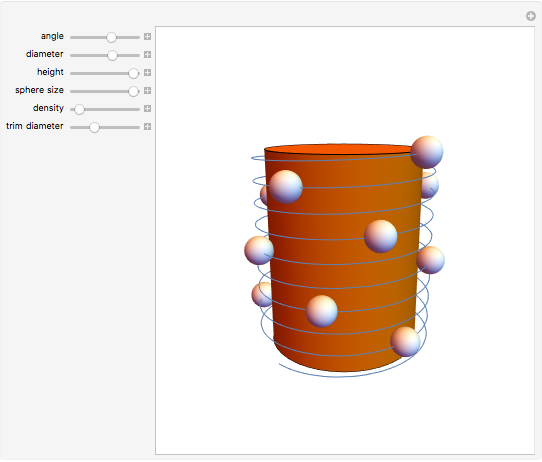 Spheres are placed with equal angular spacing on a helix. 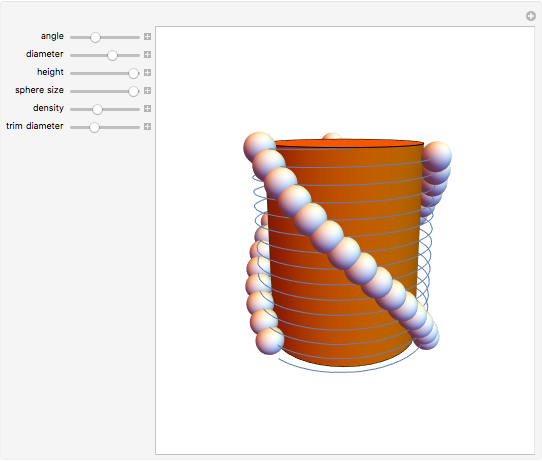 Using the controls, you can vary the angular spacing, the pitch, and the diameter of the helix, as well as the size and density of the spheres. A central cylinder is shown, the size of which varies with the helix, and its diameter can be separately trimmed to partially cover the spheres. 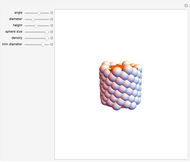 At various angular spacings the spheres seem to be arranged along opposite helices independent of the generating helix, showing how the parts of certain biological structures are arranged on a cylinder. 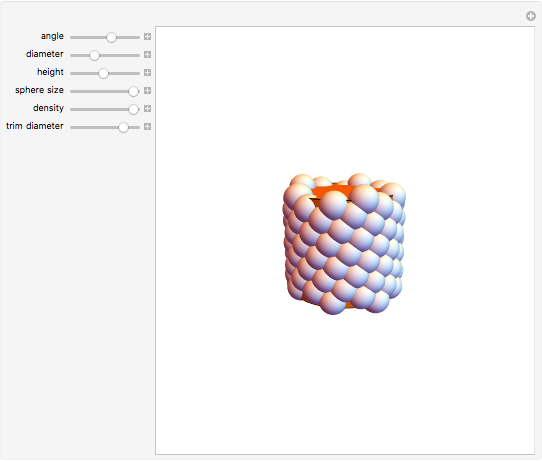 Sándor Kabai "Spheres on a Cylinder"